The PDQ2 descent-control device and the 6 mm XTEC heat-resistant Technora® rope form the core of this system whose total weight is under 10 lb (for a 100 M system). 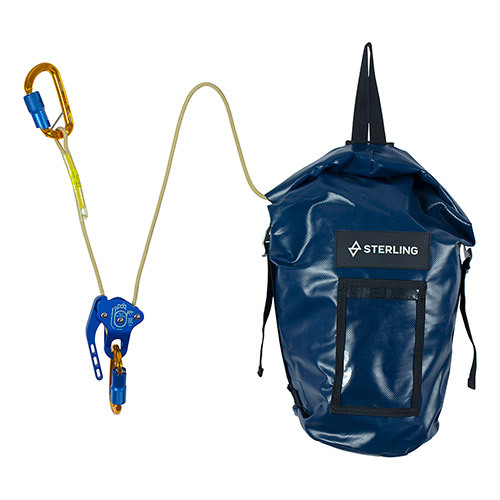 The fully-assembled kit comes ready for deployment, and packed into a durable, weather resistant carrying bag which allows it to be carried comfortably by the technician until needed. Custom lengths and configurations are available upon request. Available to ship January, 2019.